In the framework of the bilateral technical assistance project “Assistance to Montenegro in negotiations on accession to the EU” of the Centre for European Perspective (CEP) a three-day experts’ visit in the field of Chapter 10: Information Society and Media will be concluded today in Podgorica. 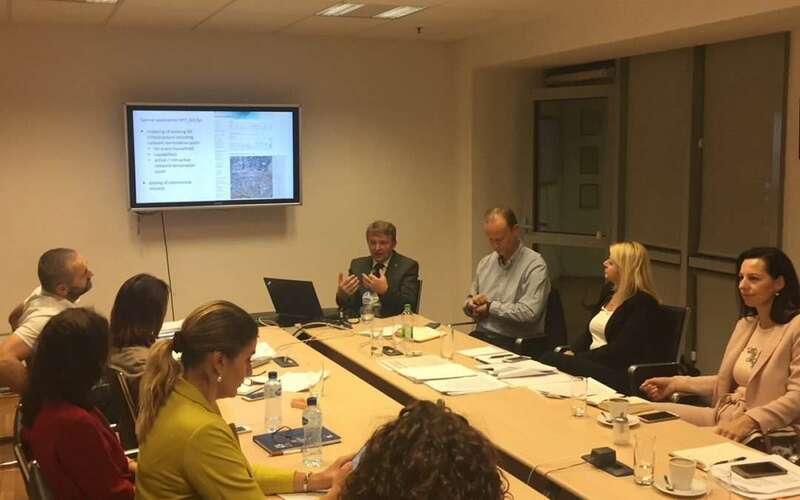 Some 12 public servants of the Montenegrin Ministry of Economy, Agency for Electronic Communications and Postal Services and Ministry for sustainable development participate at the expert consultation. Expert assistance is provided by the expert from Agency for Communication Networks and Services of the Republic of Slovenia (AKOS) Mark Pohar. It focuses on implementation of EU broadband cost reduction rules in national legislation of Montenegro and sharing experience on state-aid financed projects for broadband roll-out in Slovenia. The project is part of the CEP program activities financed by the Ministry of Foreign Affairs in the scope of international development cooperation.